Bonus! 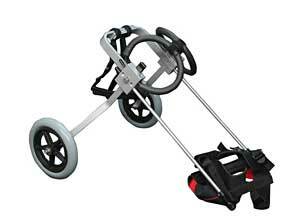 Watch our free video of a 1st time wheel chair fitting! Best Friend Mobility believes that each dog is unique. Our patented dog wheelchair designed by a veterinary orthopaedic surgeon comes in 5 sizes according to weight classification. 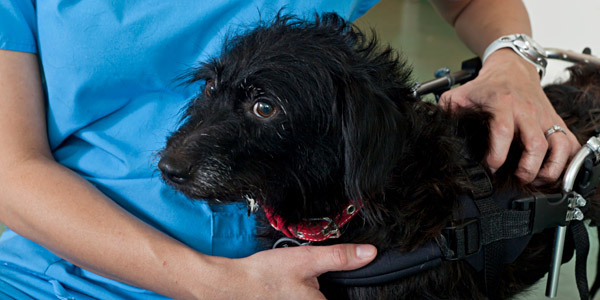 Our dog wheelchairs are designed to fit 99% of dogs within each weight class. Our dogs wheelchairs are fully adjustable in length, height, and width so each cart is customized to each pet during the initial fitting process. Simply select from our dog wheelchairs product list, the size that fits the weight class of your dog, and the cart will be customizable exactly to your pets needs. Best Friend Mobility has a 100% satisfaction guarantee for every doggie wheelchair that we sell. If your dog wheelchair does not fit properly for any reason, or if you would need to return the dog wheelchair for any reason, we will provide a 100% no questions asked refund or exchange for another size wheelchair. Even with impaired mobility, each dog still has distinct needs. Our dog wheelchairs are handcrafted with love, care, and we take pride in our work. Our dog wheelchairs are designed to account for any type of mobility impairment, size, breed, and special needs of certain dogs. Best friend mobility has also made executing bodily functions easier while in the dog wheelchair with a specially designed harness. 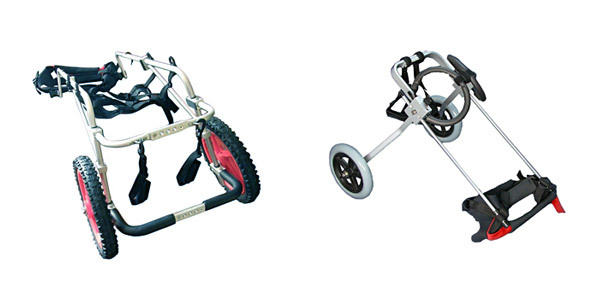 If you need specific modifications for dog wheelchairs like extension wheels or larger/smaller frames, don’t hesitate to inform us. We’ll be happy to accommodate your requests. And many more conditions require dog wheelchairs that not only look good but are actually good for them. Best Friend Mobility dog wheelchairs were designed with this in mind by Dr. Olivier Augustine, a veterinary spinal orthopaedic surgeon, and the founder of Best Friend Mobility. 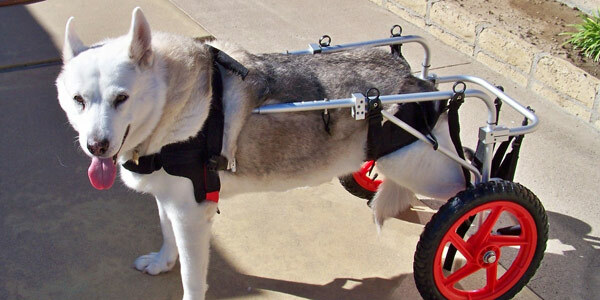 With his expertise on mobility impairment and canine muscle, neurological, and bone problems, our dog wheelchairs are developed to help your dog regain mobility and to speed up its recovery. With our world class dog wheelchairs, you can be sure that your dog gets the best comfort and innovation available. 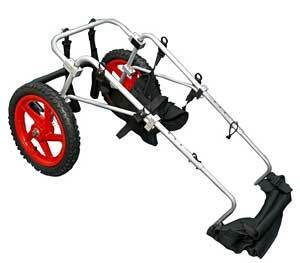 Each of our dog wheelchairs are made and designed with attention to detail and expert craftsmanship. 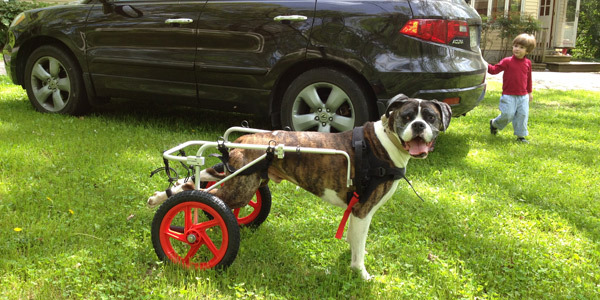 Our dog wheelchairs are customized and customizable for the specific needs of almost every dog. They are also delivered on time so your pet can regain his or her mobility, or start his or her rehabilitation right away. But if for some reason you are unsatisfied with our product, we offer a 14-day money back guarantee excluding shipping costs on every purchase. Let your pet try on the wheelchair and if you are still unsatisfied, we give you your money back with no questions asked. Please be aware that it takes most pets 1-2 weeks to grow fully comfortable with their new wheelchair.